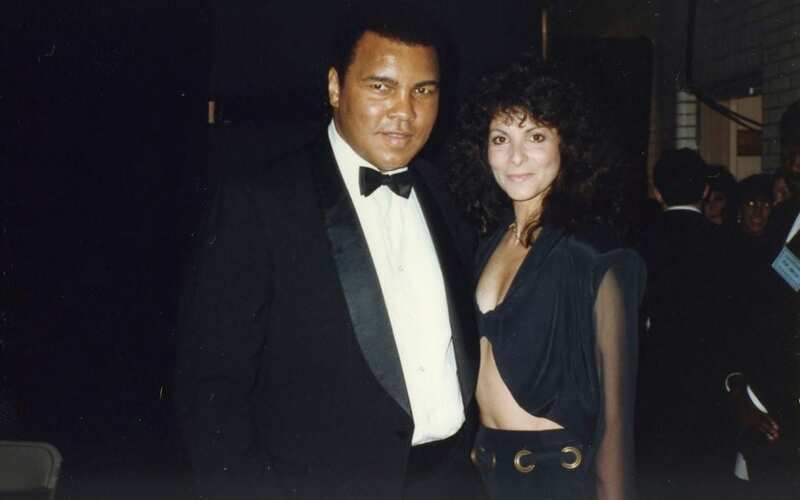 I was backstage at Radio City Music Hall because the Rockettes were performing for Night of 100 Stars III (1990), and that’s when I saw him: boxing legend Muhammad Ali. As much as I was excited by the opportunity to meet him, my husband was a die-hard fan—so I knew I needed to get a picture with him. Even though he had a lot of bodyguards, I walked up to him and asked if he’d be willing to take a photo with me. I wanted to get a photo with just him, so I asked the other men around him to move out of the picture. I was really excited that he said yes. He was such a gentleman. After the photo, one of the stage hands looked at me and said, “Why did you ask Joe Frazier to step out of the picture? !” … and I was completely mortified. My husband has yet to let me live this down! Roe Noviello was a Rockette from 1967 to 1969 and 1985 to 1997. She currently resides in Long Island, New York.